From days of old, Kyoto was heralded as a place of scenic beauty that was blessed with a source of pristine water. Surrounded on three sides by Mount Asago to the west, Kibune and Kurama, Mount Hiei, and the Higashishiyama mountain range, water from each of the peaks flowed toward the basin, providing ample sources of clear mineral water. This precious water has been essential in creating some of Kyoto’s most iconic ingredients such as yuba, nama-fu, and tofu. These ingredients are often used in special dishes which are said to have originated the food culture in Kyoto. 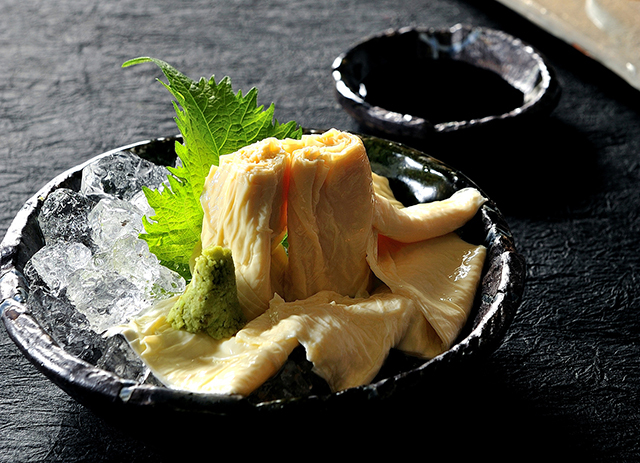 At Kamanza, we provide our guests with a variety of dishes which incorporate yuba, nama-fu, and tofu that are all carefully made by craftsmen who still use the traditional methods handed down from generations past. 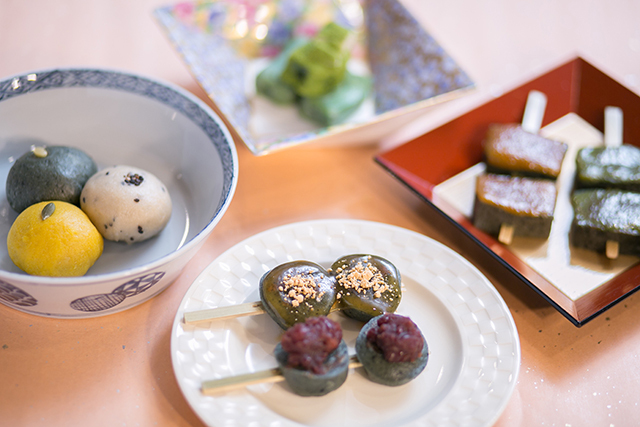 Some of our specialty dishes are sweets that are made with with nama-fu. To accompany your sweet treat, we recommend trying our special chilled matcha tea or matcha latte, or our shiso (basil) juice – all made with no preservatives. Kyoto’s matcha is famous throughout the world. At Kamanza, for over ten years we have been preparing our chilled matcha tea with matcha powder that comes to us from a famous producer in Uji. Every day, we freshly prepare this delicious drink to serve to our customers from all over the globe. 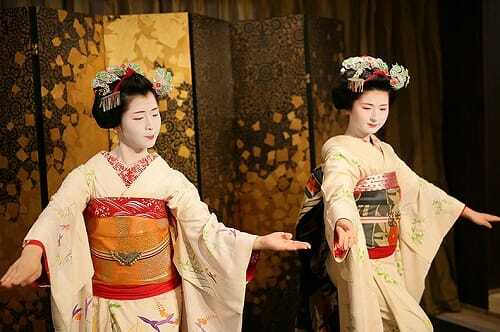 This experience provides a first-hand lesson about the culture of Kyoto by giving participants an opportunity to have tea and a meal with a Maiko from the Kyoto Higashiyama Miyagawacho district, learn about tea ceremony, and also enjoy watching her perform. Low tables and reclined seating provides foreign or senior customers with a comfortable way to watch the show.